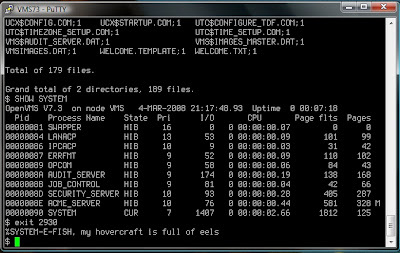 %SYSTEM-E-FISH error on OpenVMS 7.3. It's an Easter Egg btw. There's more (make love -> not war, etc) in other versions :-).